One of the easiest, tastiest and most keto friendly appetizers has to be Bacon Wrapped Asparagus. It's not only delicious, but when you show up to the party with a big tray of these, all your friends will be impressed. Isn't that really the whole goal? This can be the tricky part. Making bacon in the oven on it's own it pretty easy. When you wrap it around asparagus it can make things a bit more complicated. The one thing you want to be certain of is that when you wrap the bacon around the asparagus you do not overlap the bacon very much. If certain parts of the bacon are overlapped and some are not, you will end up with an unevenly cooked final product. The real question to contemplate when making this dish is how many asparagus spears you would use for each piece of bacon. The answer really lies in how big the spears are. We wound up finding some relatively thin spears when we made the recipe for this post so we went with 4 spears per 1 piece of bacon. Sometimes you'll find that the spears are huge and it may make sense to use a 1:1 ratio! 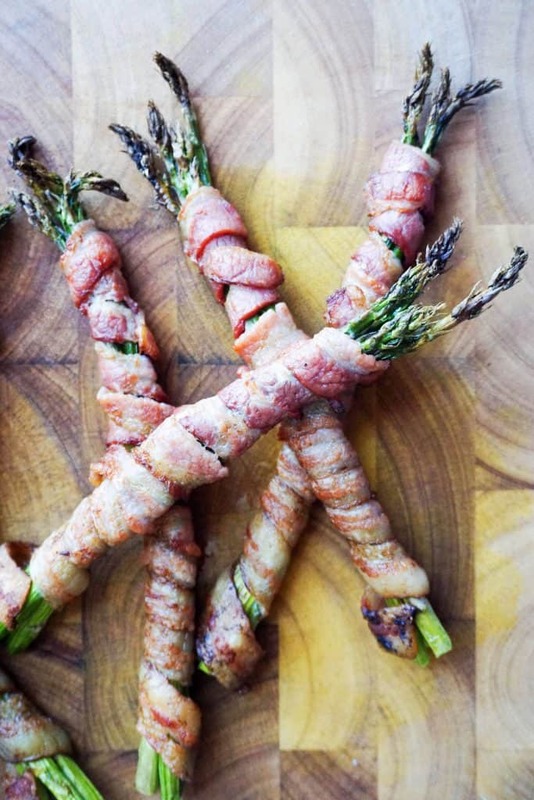 Honestly, there's no wrong way to make bacon wrapped asparagus. It's always going to come out pretty tasty! Looking for Easy Asparagus Recipes? If you're not looking for tasty and easy asparagus recipes... you should be! It has tons of health benefits, including more than 100% your daily value of vitamin K! For my money this is the best asparagus side dish there is! Not only is it delicious, but you can serve it at every occasion. It can be a side dish for a nice sit down dinner, just as easily as it can be an appetizer when you're sitting around watching football. If you're looking for more awesome keto appetizers, be sure to check out our flax seed crackers or our sausage stuffed mushrooms. Be sure to leave a comment below if you end up making this bacon wrapped asparagus! 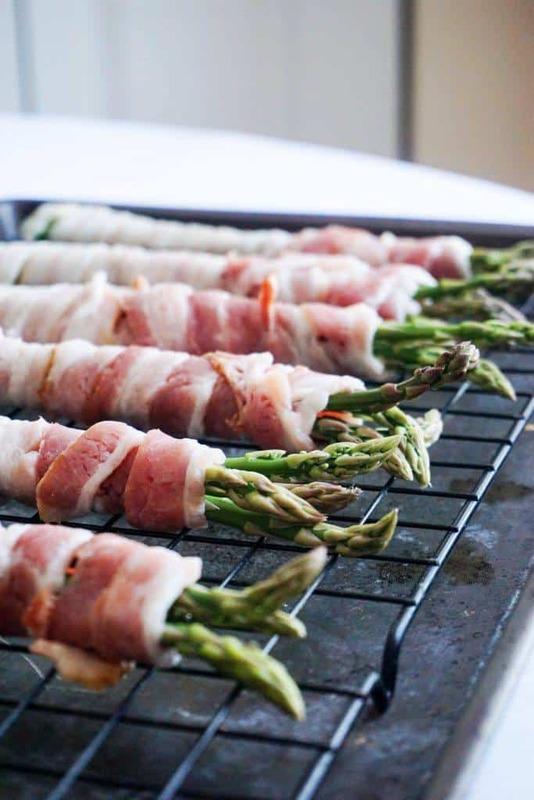 Recipe can be quickly added to MyFitnessPal - Search "KetoConnect - Bacon Wrapped Asparagus"
Cut all six slices of bacon in half lengthwise. Set aside. Bunch off your small spears into fours (if they are big use two spears). 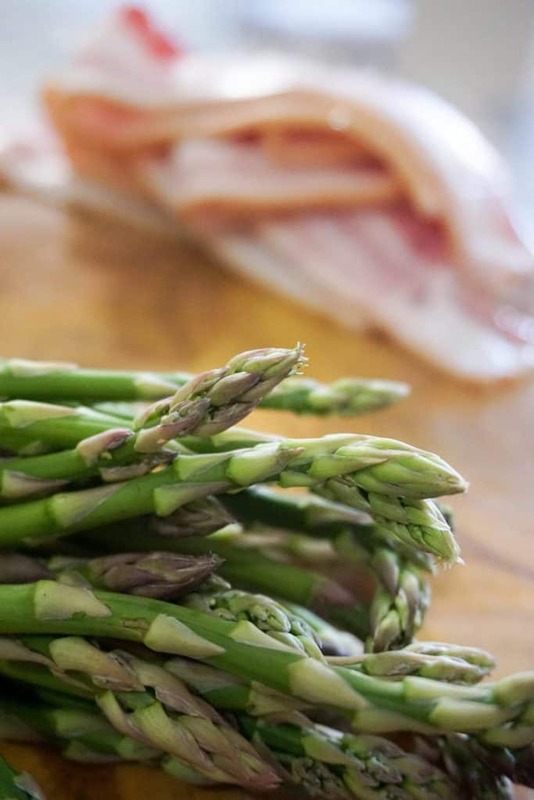 Using one piece of bacon (2 when cut in half) wrap it around your asparagus bunch in an even layer (you don't want overlap of the bacon). Place on a baking sheet or baking rack (recommended). Bake at 425 for 15 minutes, flip and bake for an additional ten minutes. Broil for three minutes (if there is a lot of bacon grease on the bottom of the pan you may want to pour some out as it can be a hazard).